I was hospitalized in the ICU for the severe concussion, severe traumatic brain injury, skull fracture, bleed on the brain, and brain contusions for 3 days and then 3.5 days on the neurology floor. 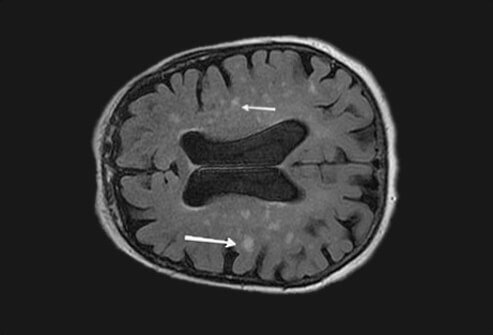 CT scans were done multiple times a day to monitor the brain bleed. I've undergone 2 neurological tests, and both confirmed post-concussion syndrome and brain damage. I had a CT scan after the concussion and they said it was fine and just to rest, no strenuous activity or heavy lifting, and limit screen time. I take Tylenol and ibuprofen for pain. A motorcycle accident in 2005 left me with severe brain trauma. As a result poor short term memory, lesser fine motor skills, slower thought process, difficulty with speech, constant nausea, neck pain and social/emotional problems are the norm. I am on two medicines, Ritalin and Cymbalta. I've gotten better restful sleeps, lesser nausea and I even feel like walking in public again. I'm finally able to get back to work on a lesser than full time basis. The ringing in my ears gets so bad I can't focus, depression is a big one since it affects all parts of life especially sleep, which can lead to sluggish and diminished capabilities in daily life. My nervous system seems to still be in shock and I can shake bad enough to make daily normal activities difficult. I can't get help from local doctor, I have concussion due to a problem that happened three months ago. The pain in the head and right side is really bad. I vomit, get dizzy and there is no sleep. I had a motor vehicle accident on June 8 2013, today is July 11 2013, I was knocked out for 10/15 minutes, I still have dizzy spells every time I try to get up or change positions from a chair to standing, the doctor says this can go on up till 6 months, anyone else have this? I suffered a concussion, when I fell and hit my head in March of 2012. Since then, I have suffered from strong headaches, vomiting, blurred vision, sensitivity to light, sensitivity to noise, ringing in my ears, memory loss, and personality changes. Doctors have prescribed me ondansetron for vomiting, butalbital/acetaminophen/caffeine tablets for headaches, antipyrine and benzocaine drops for my affected ears, as well as other injections and pain medications. What was the cause of your concussion? What were your concussion symptoms?